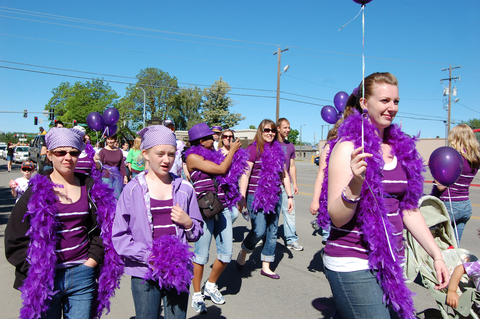 Have you heard of Relay For Life? For those who haven’t, Relay For Life is a fun, amazing and moving overnight experience that is pivotal in raising funds for Cancer Council’s research, prevention and support services. This is a great chance for many to come together and celebrate those who have gone through cancer, are still going through cancer and those who have unfortunately lost the battle to this disease. Each relay is organised by passionate volunteers, friends, and family members of those affected with cancer, and is an experience that will truly touch you and remained etched in your memory for years to come. If you are someone who is looking into joining the Relay For Life yourself, we have put together a quick guide on how you can get yourself, your family and friends involved in the next relay to signify that cancer never rests, so we don’t either. Read on to find out more on how you too can participate in this movement! Registering for Relay for Life is an absolute piece of cake, and here are the three steps you can take to get yourself registered in an instant. First up, you’re going to want to hop on to the search box on Relay For Life’s website and input your location in order to find out where the closest relay to you is, when it is being held, and all the other information you will need about the venue. Once you have found your relay team, simply click ‘Register’ and you will be taken into the registration process instantly. To begin registering, select if you are a new or returning user and then fill out your contact details, including your name, phone number, email address and so on. That way, Cancer Council can determine if you are an adult participant or a youth participant. If you have already participated in a relay in the past, you can skip some of these steps as some of your details would have already been saved from your previous registration. Next up, you’ll have to decide upon and choose if you’d like to create a team, join an existing team, create your fundraising goal or even start the ball rolling by donating a sum of money to your goal yourself. You’ll also be prompted to choose your t-shirt size before clicking on confirm/pay. Before payment, you’ll be able to skim through registration details to ensure everything is correct before going ahead and making payment. Once your payment has been processed, you’re officially a registered Relay participant. Now that you have registered for Relay, the time has come to share with your friends and family. Update your photo on your fundraising page, and share it on your social media accounts such as Facebook, Twitter and Instagram in a bid to hit your donation goals. Send emails out to loved ones explaining that Relay for Life is, and encourage them to participate themselves, or make a donation to your goal. What Can I Expect At A Relay Event? Now that the time has come for the relay, you may be wondering exactly what to expect on the day itself. All participants are welcome at the opening ceremony. The first lap honours cancer survivors and carers who take it to the track, with their family, friends and supporters cheering them on. For the second lap, all participants get involved and start walking together; taking turns walking throughout the event to signify the ongoing fight against cancer. When the sun sets, candle bags are lit in remembrance of all those who have lost their lives to cancer, followed by festivities, music, entertainment, food, and games. Closing ceremonies at the end of the event wrap things up, and a big thank you is said to everyone involved. Always remember to bank all the funds you have raised before banking deadlines post-relay, and to share all your thoughts, photos and experiences with your friends and family in order to thank them for their contributions and encourage them to join the next relay themselves!